BOSTON - Thursday, January 31, 2019 - Mayor Martin J. Walsh today announced the appointment of Dr. Lorna Rivera to the Boston School Committee, the governing body of the Boston Public Schools (BPS). 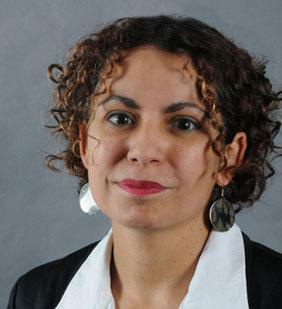 Dr. Lorna Rivera is the Director of the Mauricio Gastón Institute for Latino Community Development & Public Policy, and an Associate Professor of Women's & Gender Studies at the University of Massachusetts-Boston. "A Boston Public Schools parent and an accomplished educator with an extensive background in student advancement and strengthening diverse communities, Dr. Rivera is a wonderful addition to the Boston School Committee," said Mayor Walsh. "I look forward to Lorna's valuable contributions to our students and schools as we continue to work together to create more opportunities for all students." The seven-member Boston School Committee is responsible for defining the vision, mission and goals of the Boston Public Schools; establishing and monitoring the annual operating budget; hiring, managing and evaluating the Superintendent; and setting and reviewing district policies and practices to support student achievement. "As the parent of a 5th grader at the Charles Sumner elementary school, I am honored to serve on the school committee, and am really looking forward to working with others to create a better future for our youth," said Dr. Rivera. "I am also an educator and education researcher who is committed to advancing Boston Public Schools' and Mayor Walsh's goals to address opportunity gaps and to support the needs of Boston's diverse student populations." "I am very happy to welcome another parent to the Boston School Committee," said Michael Loconto, Chairperson of the Boston School Committee. "Dr. Rivera's deep experience with the Boston Public Schools will allow her to hit the ground running and continue supporting district-wide work to close opportunity and achievement gaps." Currently, Dr. Rivera is working on the Latinx Student Success Initiative, a partnership with Bunker Hill Community College, to improve retention and graduation rates for Latinx college students. Dr. Rivera also works with the Talented & Gifted (TAG) and Proyecto Alerta afterschool programs that serve Latinx bilingual students in the Boston Public Schools. She has extensive community service and co-founded a national nonprofit, WE LEARN, dedicated to advancing women's literacy. Dr. Rivera serves on the Advisory Boards of the Center to Support Immigrant Organizing and the Latino Education Institute, and on the Board of Directors for the Hyde Square Task Force, an arts-based youth development organization serving Afro-Latinx youth in Boston. Dr. Rivera's family is originally from Puerto Rico, and she was raised in Chicago and attended Chicago Public Schools. Dr. Rivera has a Bachelor of Science in Elementary Education from DePaul University, state of Illinois licensure in Language Arts & Social Studies grades K-9, and a Masters and Doctorate in Sociology from Northeastern University. Between 1994 and 2001 she taught G.E.D. classes and also was the director of the Adult Learners Program at Project Hope in Dorchester. In 2001, Dr. Rivera joined the faculty at UMass Boston and her research focuses on women's and adult literacy programs, racial/ethnic health disparities, and the education of Latinx students and immigrant students. She is the author of many scholarly articles and the award-winning book, Laboring to Learn: Women's Literacy & Poverty in the Post-Welfare Era (2008, University of Illinois Press). Her research has been funded by the Society for the Study of Social Problems, the National Academy of Education, the Spencer Foundation, National Center for Family Literacy, and National Institutes on Health. Dr. Rivera has lived in the Jamaica Plain and Roslindale Square neighborhoods for over 27 years, and she is the proud parent of a ten-year old boy who attends the Charles Sumner Elementary School. Dr. Rivera also formerly served as the Co-Chair of the Parent Council at the Sumner school. She lives in Roslindale. The seven members of the School Committee are Boston residents appointed by the Mayor of Boston to serve four-year staggered terms. Mayor Walsh made these appointments based on a list of candidates recommended by a 13-member Citizens Nominating Panel composed of parents, teachers, principals, and representatives of business and higher education. Under the legislation that established the appointed School Committee, "the Mayor shall strive to appoint individuals who reflect the racial, ethnic, and socioeconomic diversity of the city." In December, Mayor Walsh appointed Quoc Tran and reappointed Jeri Robinson to the Boston School Committee.